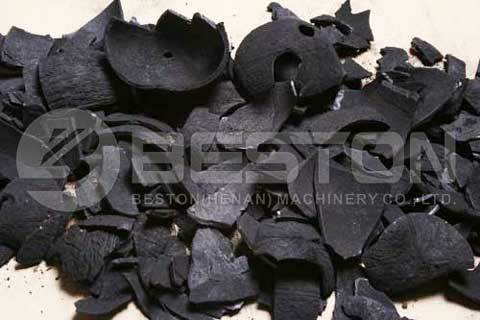 Coconut shell charcoal briquette machine can realize a complete production chain from coconut waste to high-quality fuel. It contains the coconut shell charcoal production and briquette making process. It is a machine that you can rely on when you need high-quality coconut shell charcoal briquettes. It is also a green, zero-pollution, efficient and profitable project you can invest in. Raw Materials 1.All kinds of biomass waste, such as sawdust, coconut shells, olive shells, palm shells, bamboo, etc. 2.Civil sludge, municipal sludge, industrial sludge, etc. Heating Materials Charcoal, Wood, Diesel, Natural Gas, LPG, Biomass, etc. 1. Check the water content and the size of the coconut shell. 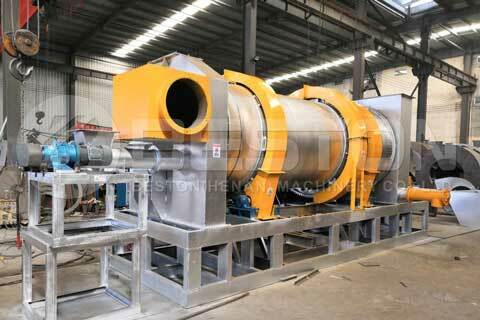 You will need a drying host and a crusher if the water content exceeds 15%-25% and the diameter exceeds 50 mm. 2. Pre-heat the carbonization host for 30 minutes and then feed the shredded and dried coconut shell pieces into the host by a constant weight feeder. 3. 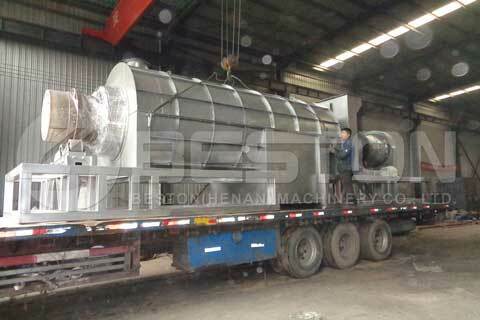 As the temperature rises, pyrolysis and carbonization process happen in the host. 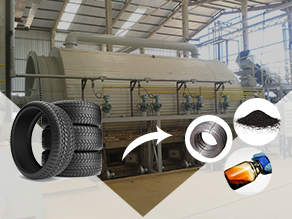 After the steps of de-dusting, sulfur-removing and carbon collection, the coconut shell charcoal is produced and then discharged by a sealed discharger. 4. 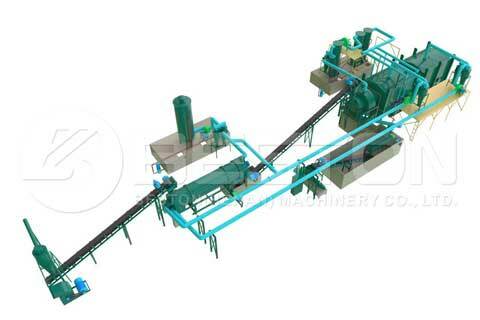 The coconut shell charcoal powders will be sent to the charcoal briquette making device by the belt conveyor, and then become charcoal briquettes. According to your actual demand, you can choose the shapes of the briquettes freely. 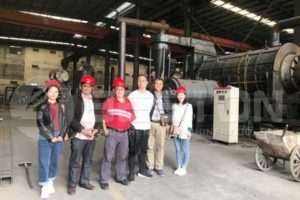 A complete coconut shell charcoal briquette making process shall include crusher, drying machine, carbonization furnace (biomass pyrolysis plant) and briquette making device. But if the customers have specific requirements for the production, we can adjust the configuration. 1. Comparing with charcoal from the wood charcoal making machine, the coconut shell charcoal has a higher heat value. That is why it has much wider use than common wood charcoal. 2. 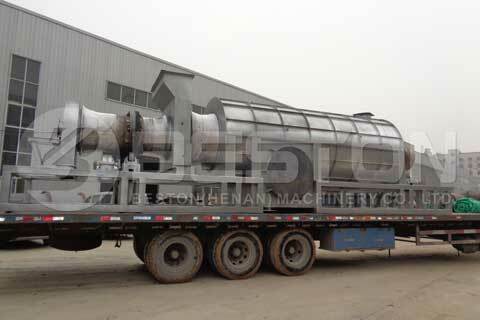 As a kind of fuel, it has both household uses and industrial uses. 3. It is also used in the food industry, such as barbecue charcoal and stove fuel. 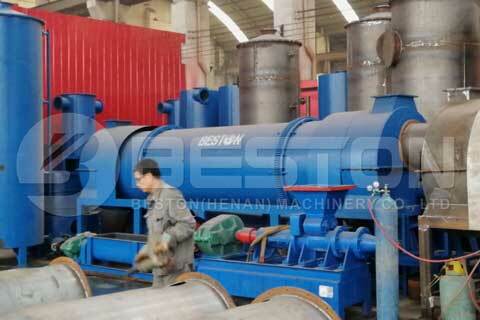 Besides, it can also be used as fuel in the steelmaking industry. Combustible gas: it is an inevitable product of the pyrolysis and carbonizing process. 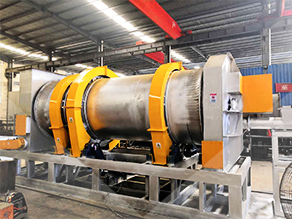 Beston has successfully designed an efficient combustible recycling system to recycle the combustible gas into fuel and supply heat for the carbonization host. 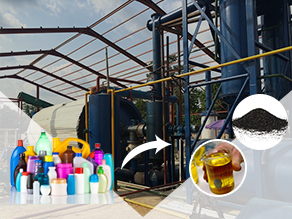 Tar and Wood Vinegar: during the process of purification, the combustible gas goes to the condensers and the condensers are able to separate tar and wood vinegar from the gas. Wood vinegar is the basic feedstock to make biodiesel and pitch. Tar can produce pesticide and soil conditioner. Coconut shell charcoal is a very important fuel and industrial material in current society. 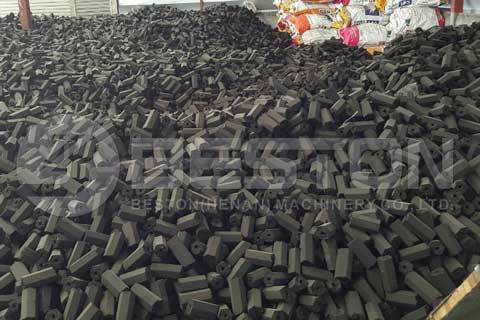 Beston focuses on the quality of our coconut shell charcoal briquettes machine and also the quality of the charcoal briquettes our machine can produce. 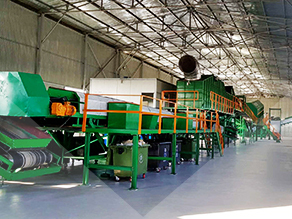 Besides, we pay much attention to a safe emission and zero pollution of the machines and aim to supply a green and modernized coconut shell charcoal making machines for the whole world. At the same time, we have a strong power of researching, designing, manufacturing, and customer care. We can supply on-site assembling guide, commissioning monitoring, local worker training, and regular on-site visiting to every customer. If you want to learn more information about our products except for this coconut shell charcoal briquette machine, you can go back to the homepage or leave your message to us now. 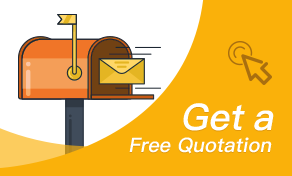 Please feel free to give your inquiry. We will reply in 24h.